Students should visit our grants section for information on study abroad support. 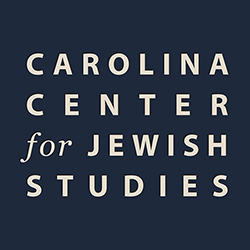 Study Abroad: Europe: TEXTURE OF MEMORY: JEWISH LIFE AND THE HOLOCAUST This Burch Field Research Seminar is a five-week program that brings students to one of the heartlands of Jewish life to study history, culture, and memory before, during and after the Holocaust. Students will spend four weeks in Poland and one week in Lithuania examining how the Holocaust is remembered and memorialized – connecting memory of the Holocaust with the cities, towns and Nazi camps where the events took place. Summer 2018 (May 26 – 30). This is a UNC faculty-led program. Application deadline is February 14, 2018. Details. Study Abroad: Huqoq: This field school program, directed by Professor Jodi Magness of UNC-CH, provides students with the opportunity to participate in an archaeological excavation while learning about ancient and modern Israel. This is a UNC faculty-led program. Summer 2018 (May 31–July 2). Application deadline is February 14, 2018. Students should visit Carolina’s Study Abroad web site for information. Details.